Title: 'Scotiae Tabula'. French text to verso. From the Theatrum Orbis Terrarum, 1579. A fine map of Scotland with north to the right of the page. 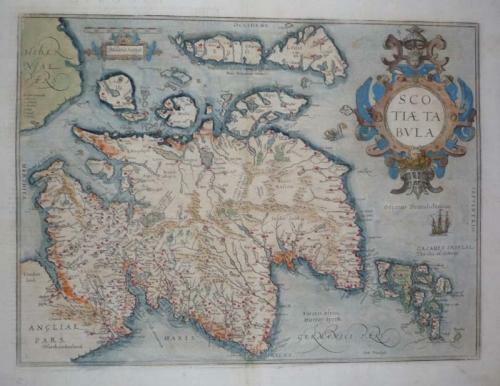 Ortelius derived this map from Mercator's 1564 map of the British Isles in 8 sheets. The condition is very good with a dark impression and good margins.